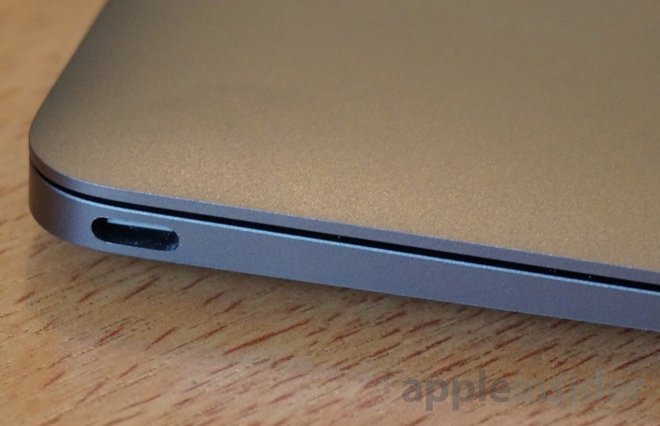 Kuo in a note to investors obtained by AppleInsider predicts the MagSafe-esque adapter will either be rolled out by Apple or a third-party, citing supply checks and continued customer interest in the venerable breakaway design. Apple began migrating its laptops toward an all-in-one USB-C charging and data transfer solution with the 12-inch MacBook last year, a design shift expected to continue with revamped MacBook Pro models announced on Oct. 27. In addition to the MagSafe adapter, Kuo predicts Apple's next-generation MacBooks to incorporate processors from Intel's Skylake family. Other notables include a new 2TB SSD storage tier and displays featuring an oxide panel for better image quality and energy efficiency. Screen resolutions should be identical to current-generation models, Kuo says. The analyst goes on to reiterate past predictions, saying Apple is due to add a 13-inch model to its thin-and-light MacBook lineup. Also on the docket for the "Hello Again" keynote are two redesigned MacBook Pro versions featuring an OLED touch bar with fingerprint sensor, a keyboard with butterfly mechanism keys, Thunderbolt 3 and —gasp —a switch to USB-C. New metal injection molded hinges are anticipated for application in all new MacBook iterations. Kuo also shed a bit more light on the OLED touch bar —aka "Magic Toolbar" or "Control Strip" —saying Apple plans to power the component with a sub-processor similar to the one found in Apple Watch. Whether the analyst is referring to the wearable's S2 system-in-package processor or the integrated display controller is unclear. Finally, today's report notes Apple is working on updates for its all-in-one iMac desktop line, as well as a replacement for the recently discontinued Thunderbolt Display, but those models are due to arrive in the first half of 2017. Kuo estimates MacBook shipments between 3.8 million to 4 million units in the fourth fiscal quarter of 2016, up 20 to 30 percent quarter-on-quarter but down 5 to 10 percent year-over-year. New MacBooks expected to launch next week will account for 40 to 45 percent of overall shipments during the coming quarter, he says.